In late May 2018, a member of our team developed the idea for a mug that told cancer exactly what we all think of it after a friend had been recently diagnosed. But, after seeing the response to the original FU Cancer mug, we opened up a vote in Duke's Mug Life for Coffee Mug Collectors and Coffee Enthusiasts, a Facebook group with many Sunset Hill Stoneware fans outside of our own group. Members voted for a new mug and glaze style to go with the honest medallion. After dozens of votes were cast within the Facebook group, the winning combination was a Wide Mouth mug with our Silvery Night two-tone glaze. Dozens of people ordered the first edition of the FU Cancer mug in a matter of days. They've sent photos with their new stoneware and posted in collectors groups on Facebook since the mugs were shipped out, and we've gotten plenty of testimonials to match them, including from our own staff. Here are just a few of the comments we've received about why people bought the FU Cancer mug. 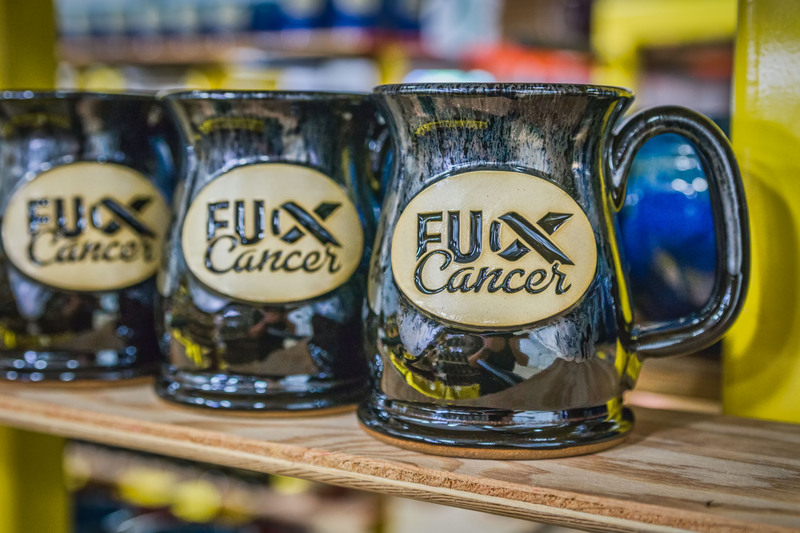 Dave, an active member of Sunset Hill Stoneware's mug and stein collectors group who has had mugs of his own made, sent us a message to say that he bought the FU Cancer mug because of how cancer affects absolutely everyone. Dave added that he lost his father to multiple types of cancer. "For the last year of my father's life, I stayed with him along with one of his amazing friends," Dave said. "It was a year of helping him find peace and for him and I to truly get to know one another." During that year, Dave learned a lot about not only himself, but about the strength of his wife's love. Even today, Dave said that he supports cancer awareness causes of all kinds. 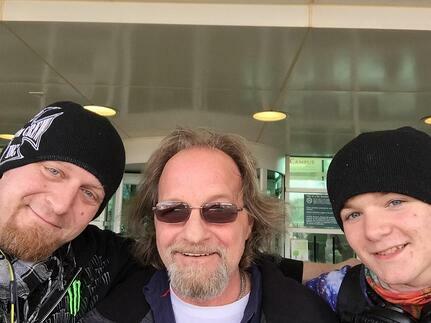 Pictured (left to right): Dave, his father and Dave's son. Ruth wrote an email to us saying that she bought the FU Cancer mug in honor of family and friends that she has lost to cancer. She added that cancer has taken too many of her family members ever since she was 17 years old, along with a few of her friends. "I have watched too many be destroyed by this disease," Ruth said. "I have lived a life with a broken heart from the loss of these loved ones. My heart goes out to anyone that has any form of cancer." In light of the far too many people in her life that succumbed to cancer, Ruth supports cancer awareness efforts by purchasing mugs, T-shirts and other products against the disease. Paul sent us an email to us shortly after he received his FU Cancer mug. While he said he's a fan of Sunset Hill Stoneware's mugs in general, the FU Cancer mug had an even more personal meaning for him. After all, his sister is a two-year cancer survivor. He purchased the mug in her honor. I'm Sunset Hill Stoneware's digital marketing assistant, but I bought the FU Cancer mug with my own money for my personal use. My review of the mug is intended to reflect that. 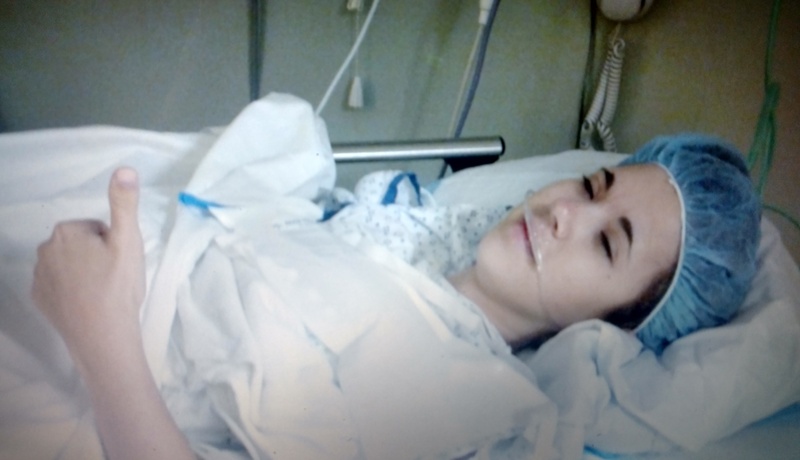 I was 21 when my doctor found the tumor. She, my surgeon and everyone else involved told me it was likely a noncancerous breast condition a lot of women experience. There was a slight chance—less than 1 percent—that it was something called a phyllodes tumor, but everyone assured me several times that it was probably the less severe condition. Guess who was in the 1 percent? Phyllodes tumors are potentially cancerous and so rare that I know of only one study that was published two years after my diagnosis, and they're even rarer in young adults. It was a fluke. The tumor, at 15 cm (5.9 inches) long, was bigger than a softball. If we'd found it much later, it probably would've been like a scene straight from the end of Spaceballs. The process of getting the tumor out and keeping it out took three months and two invasive surgeries, cutting into my senior year of college and destroying my upper body strength. It's been four years, but I still can't lift or even drive like I could before. There's something classy about the Silvery Night glaze, even when paired with an insult. The mug is sleek and stylish because of its silver accents, and it's big enough for a lot of tea. Plus, since silver isn't associated with any type of cancer, it's universal. I can appreciate its sentiments, as can someone affected by thyroid cancer, prostate cancer or any other form of the disease without feeling alienated. You can feel the quality of the FU Cancer mug to the touch. That's why I feel like if such a blunt statement were put on any product, a custom stoneware mug from Sunset Hill Stoneware should be it. I'll be keeping this one for years to come. I'm sure the same goes for the dozens of other people who bought them, too. A new edition of the FU Cancer mug is now available on Sunset Hill Stoneware's website. A portion of the mug's proceeds will be donated to the American Cancer Society.